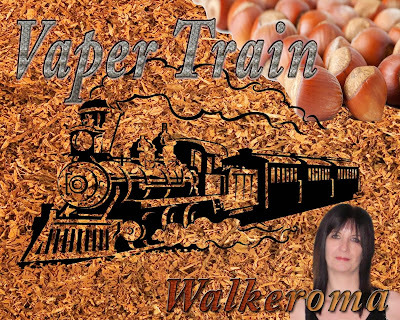 This is a written review of 'Vanilla Custard' created by James and Jade who own 'Vaper Train', A web based E-cig store situated in Wellingborough, Northamptonshire. The juice is 18mg 50pg/50vg, and is one of their new E-liquids in the 'VT Buffet Car' Range, which hosts nine new wonderful flavours, which I will be reviewing over the coming days. A new line of Premium made juices using only the best ingredients which are all sourced in the UK. James and Jade have two great new juice lines, the other one being, the 'VT Smoking Car' Range. Although there is only one juice available in this range at the present time, more will be added in the near future. These E-liquids are Vaper Trains Premium E-liquids, and are mixed and made by themselves to the highest standards. 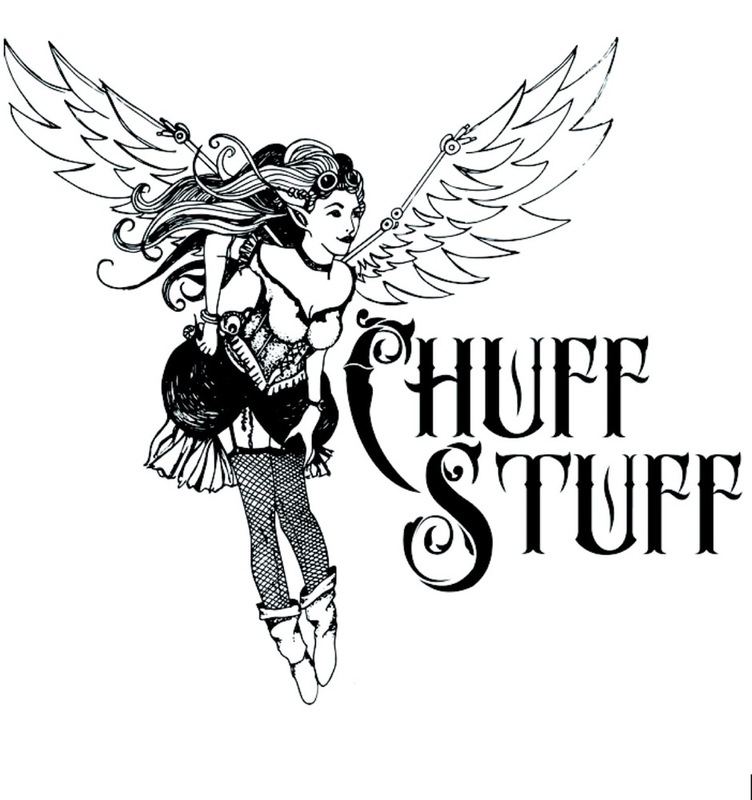 They use only UK sourced nicotine and the finest flavours on the market. Their flavours have already been steeped, so that you can enjoy their newly purchased E-liquid from the moment it arrives at your door. James and Jade kindly sent me their range of UK E-liquid, for the purpose of review, which I might add, I was absolutely delighted with. Everything was well packaged and nicely presented. There was a printed letter detailing what had been sent, one of their newly printed business cards, and more importantly, a leaflet giving you advice on E-liquid safety, which I think is a great idea. It contains all the information needed, to help with all aspects of Nicotine and how it should be handled. When you place your order you can choose from a variety of nicotine strengths from Zero nicotine up to 24mg. If you choose to have it made to your requirements with a higher nicotine level ,you can opt for 'request' and tell them your preference at checkout. James and Jade have all the detailed information on their website making your purchase as easy and informative as possible. Our take on an old classic Vanilla Custard, with this vape we are not trying to copy GVC, we are just bringing a flavour I've been vaping myself for a long time to the masses. Please use the drop down menus to choose the desired nicotine strength and bottle size. If you require a 6mg nicotine, 24mg nicotine or 36mg nicotine please choose the request option and leave a comment at checkout stating your preferred nicotine strength. All bottles are beautifully labelled and easily read, and come with tactile warnings and child proof safety caps. Shipping is super fast and customer service is top notch. On opening the bottle, the first thing that came to mind was a cold winters night, sitting in front of an open log fire, sipping hot cocoa and delving into a big bowl of warming, creamy vanilla custard. The aroma was so pleasing and comforting, I knew straight away I was going to enjoy it. 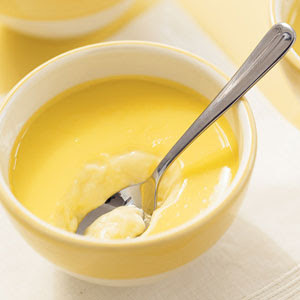 I am very partial to a good vanilla custard vape. There are a wide variety of different flavoured custards. There are many different types of vanilla beans, vanilla butternut, French Vanilla, French Vanilla deluxe, Bourbon Vanilla, Tahitian Vanilla, Mexican, infact most I have sampled and most I have enjoyed as they all have something different to offer. Vanilla types vary in flavour and fragrance when vanilla plants are grown in different parts of the world. Depending on the climate, the country they were grown in, the soil and methods used, all determine what flavour the vanilla bean will carry, as there are all different methods of growing a vanilla plant, hence the many different kinds. Regardless of where the vanilla beans come from, they should have a rich, full aroma with a beautiful rich creamy essence. Bourbon vanilla beans have a very rich taste and smell, and have a very strong vanilla aroma. Madagascar Vanilla has a more mellow, smooth, quality, with a slightly spicy fragrance, quite earthy. While Tahitan Vanilla is lighter, and the aroma is fruity and floral. If you open a bottle of vanilla custard E-liquid you can sometimes pick out the fragrances, and determine just by smell, what type of vanilla has been used to flavour the liquid. Smell has a big part to play when choosing a good juice as by smelling the liquid, it can tell you straight away if you are going to enjoy it or not. Your sense of smell predicts a flavour before your tastebuds can. It's like sampling a good wine, You smell the wines essence, you roll it around your mouth and gargle, then spit it out and you know by doing this without swallowing, that its going to be a good wine you will enjoy. The fragrance of this Vanilla custard told me it was made from good quality beans. I would say on smelling this, it has the aroma of a classic French Vanilla, maybe mixed with the flavours of the Bourbon, Tahitan and madagascan beans, to give it the beautiful vanilla flavour, not overpowering, and mellow enough to make it an all day vape. On the inhale, a beautiful sweet but not overly sweet Vanilla custard, full and flavoursome, coating every tastebud in my mouth with its richness and it's creaminess. As I enjoy cooking and baking, I know my way around flavours quite well, and I use the many different varieties of Vanilla in the preparation of my dishes. This is like sampling a beautiful French style ice cream custard, with vanilla beans, cream, and egg yolks. It is rich, but light, thick but not sickly. Infact you could say it's a perfect treat for sitting back and relaxing with, when you want something in the way of a dessert. On the exhale, a light Tahitan note giving the essence of a very slight, mellow, fruitiness, lingering subtly in the background with a touch of floral as it left my mouth. I tasted a spiciness on my lips before it gently left my palate, but the flavour lingered in my mouth for quite a while afterwards. The mix of different vanillas make the juice unbelievably different with the creaminess on the inhale and the light fruitiness and spiciness on the exhale, and this is produced by blending the different types of vanilla essences to give that sweet soulful flavour that this juice has. Tahitian, Mexican and Bourbon vanilla all have their own unique flavour, and they have something different to offer to the E-liquids they are enhancing. This juice was very satisfying. It was just like grandma used to make, a fresh homemade custard, with that little bit extra, and one that I enjoyed tremendously. I found it to be very comforting and I will definitely be buying a bigger bottle. The throat hit was great for an 18mg juice and produced clouds of vapour with it being 50pg/50vg. You won't know how good it is until you have tried it for yourselves. So come on, get ordering folks. There is an extensive section on their website regarding all aspects of Electronic Cigarettes and E-liquids and it covers everything you need to know from the history of the E-cig to E-liquid/Nicotine Safety.